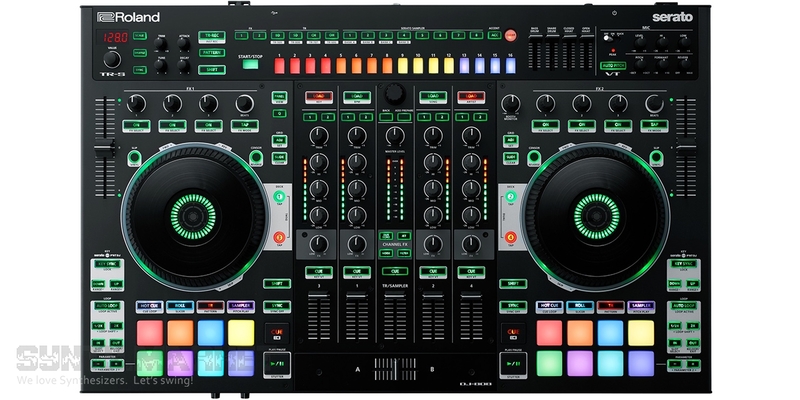 The legendary Roland company, together with Serato, joined their efforts to reincarnate the drum machines of the TR series into a DJ controller called DJ-808. 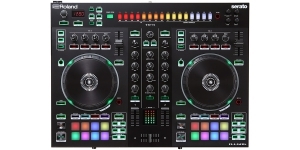 Young LY, CEO of Serato brand, said that DJ-808 fits perfectly for any purpose: production, live performances, and DJing. 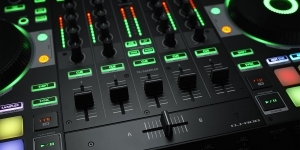 Both giants have tried to invest in the new controller/instrument as much as possible, and its 4-channel mixer is only a small part of the unit comprising as much as everything else. 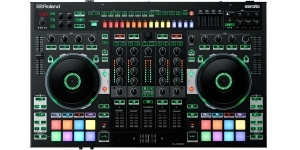 It has drums from TR line, a TR-808-style sequencer, vocal processing, two platters, synchronization with AIRA products, and integration with the virtual Serato DJ. 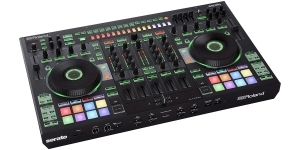 The surface of the controller has very similar features to those featured by AIRA line, which had green backlight knobs and buttons, and the sequencer is an exact copy of TR-8. 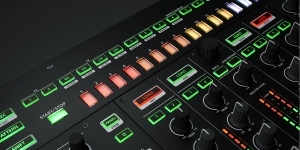 This time Roland turned out to be very generous, because the built-in drum machine includes a mixed set of percussion from its predecessors: kick (TR-909), snare (TR-808), hi-hat (TR-707), and clap (TR- 606) were generated using analog circuit technology by Roland. 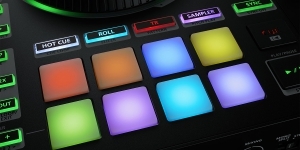 All available percussion is produced using a 16-step sequencer (as well as with the help of Serato sampler). 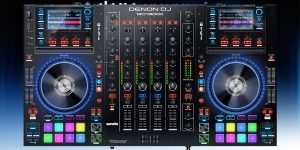 DJ-808 also includes a unique "VT Voice Transformer" function that allows you to change the pitch, formant, vocal reverberation. 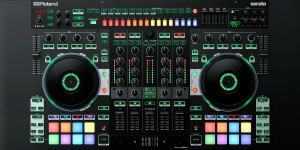 Another addition is touch sensitive multi-colored pads, as well as 4 channels for effects (Dub echo, Jet, Noise, Filter). The controller supports stand-alone mode, allowing it to be used without connecting to a computer. 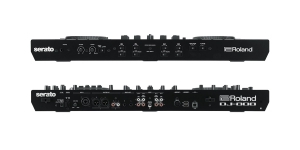 For connection of external instruments, MIDI ports and AIRA Link USB are provided. 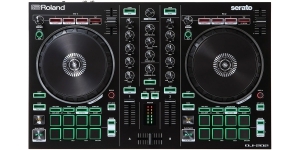 DJ Controller, Digital (D), Production start: 2017. 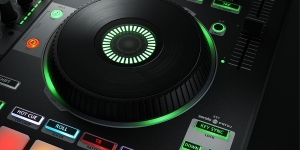 Serato and Roland started their cooperation with the release of an unprecedented product – DJ controller which not only triggers and controls but also allows creating on the spot. 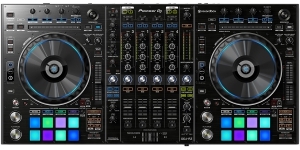 DJs will make a built-in sequencer the part of their live performance.